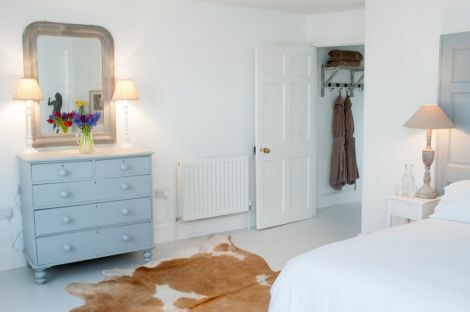 The large first floor bedroom has a gorgeous double ended free standing bath and basin in the bedroom, with its loo just a few a steps away. This bedroom can be either 4 x single beds or a mixture of super king and singles. 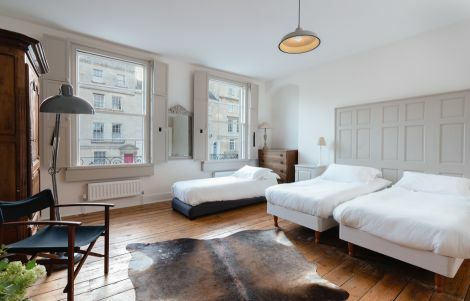 For 13/14 guests, we can add a further 2 beds. The large bedroom at the top of the house has either 4 x singles or a mixture of super king and singles. 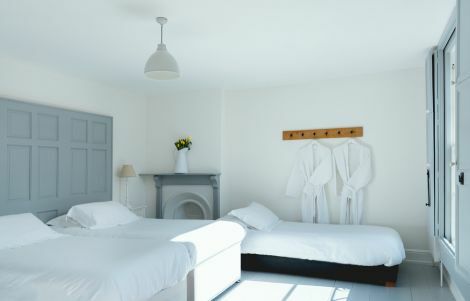 The double bedroom at the back of the house has a 6 foot super king sized bed or the option of 2 single beds, and an en suite wet room with its own loo. 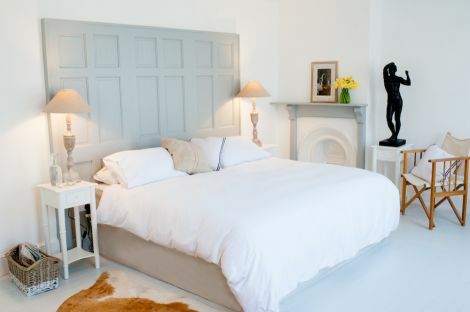 The small Double Bedroom at the top of the house has a 4"6" double bed. The 2 bedrooms on the top floor have the use of their own wet room, with loo, on the half landing below. Book online or please call John on 07767 202295 for more details (leave a message if unanswered and we’ll get straight back to you). We also have a Booking Enquiry Form if you prefer.